Thanks again for everyone who attended the session, I’m very glad some of you found it helpful. 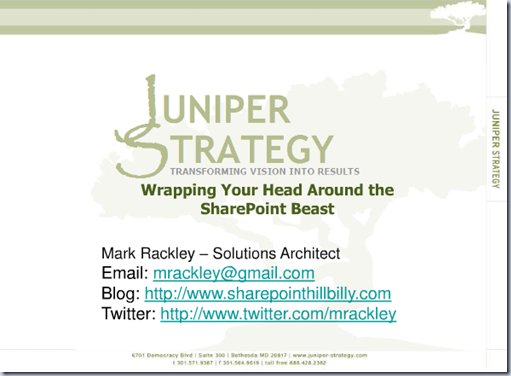 I’ll next be presenting this session at Tulsa TechFest on November 12th and SharePoint Saturday Dallas on November 13th. Enjoyed the presentation Saturday! Thanks for posting the slides.